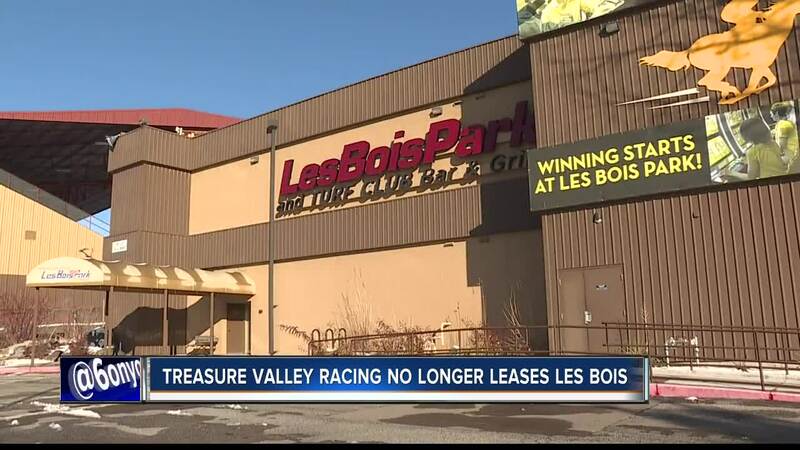 After a hard fought battle in November's midterm elections to legalize historical horse racing slot machines in Idaho didn't quite cross the finish line in first place, Treasure Valley Racing announced they will not be renewing their two-year running lease at Les Bois Park. The Ada County Commissioners say they received notice from Treasure Valley Racing last Friday that the racing group will not be renewing their lease at Les Bois Park race track in Garden City. "I think it basically sounds the death knell of horse racing. The only real money source of racing in the state was at Le Bois Park and if they don't race, there is simply not enough revenue in my mind, to keep racing going in the state," said Paul J. Schneider, former chairman of the Idaho State Racing Commission. Treasure Valley Racing has leased the 63-acre park from Ada County since 2016, and while their lease was not set to expire until 2020, Treasure Valley Racing was given an option to either renew the lease or give a written 30-days notice to the county, forgoing the remaining two years. "The purses couldn't be high enough to attract horses or to keep the breeding programs going in the state so, dire straights," said Schneider. Which leaves the future of the racetrack and turf club up in the air. "There will be a reduction in revenue to the fairgrounds property, that hopefully will initiate some discussion on maybe how to change that, and get some revenue back in, and Garden City would be very interested in being involved in that discussion," said Mayor John Evans of Garden City. The Board of Ada County Commissioners said they "will be meeting with the director of Expo Idaho in the coming weeks to discuss options..."
And any major decisions will be passed on to include the new Board of County Commissioners, Diana Lachiondo and Kendra Kenyon, who will take office in January.